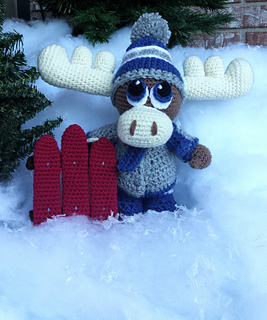 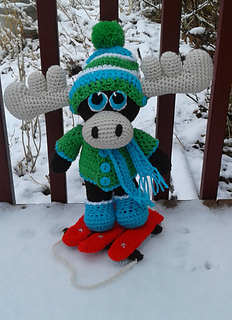 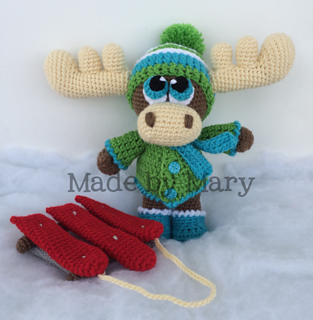 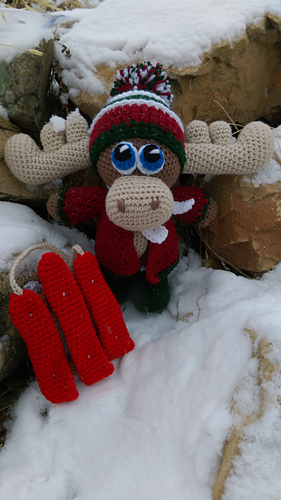 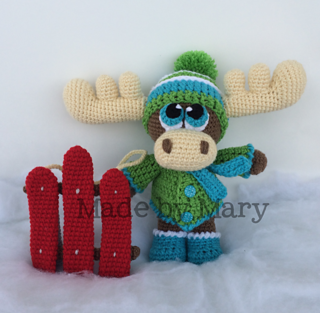 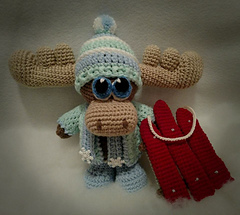 This adorable Moose with a sled is sure to bring a smile to any face! 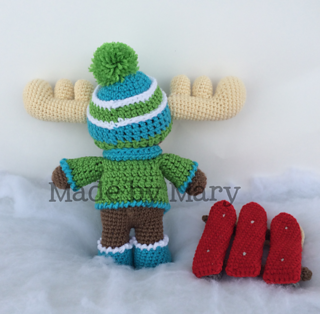 It is a wonderful winter decoration or toy. 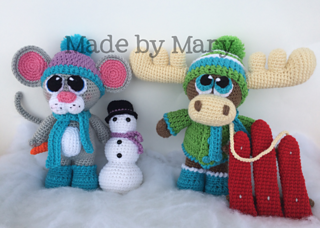 11 pages, 20+ photos and stitch count for every row, are included to help you finish your project.